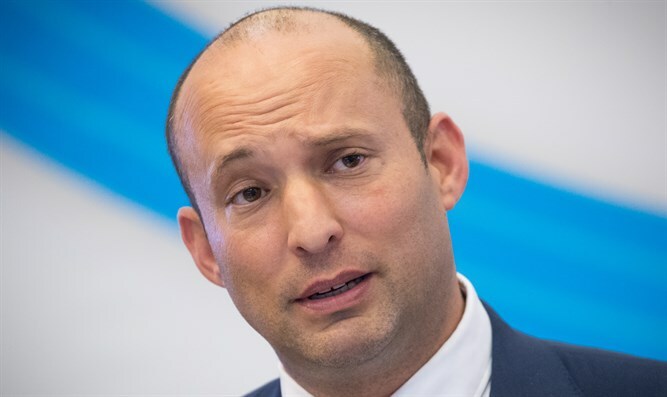 Jewish Home Chairman, Education Minister Naftali Bennett, said Tuesday that he would demand clarifications from the prime minister regarding the application of sovereignty in Judea and Samaria. On Monday, Netanyahu told Likud party members at a faction meeting that he had discussed proposed legislation that would establish a framework for the application of Israeli sovereignty over Jewish towns in Judea and Samaria. “With regard to the Sovereignty Law, I can tell you that for a while now I’ve been discussing the issue with the Americans,” Netanyahu said Monday. Later on Monday, however, Josh Raffel, a White House spokesman associated with President Trump’s adviser and son-in-law Jared Kushner, explicitly denied the claim put forth by Prime Minister Binyamin Netanyahu that he had discussed the “Sovereignty Law” with the Trump administration. "Reports that the United States discussed with Israel an annexation plan for the West Bank are false," Raffel said. "The United States and Israel have never discussed such a proposal, and the president's focus remains squarely on his Israeli-Palestinian peace initiative." Despite the denial by Raffel, the Prime Minister’s Office subsequently released a statement Monday evening reaffirming Netanyahu’s claim. “Prime Minister Benjamin Netanyahu updated the Americans on the initiatives being raised in the Knesset, and the Americans expressed their unequivocal position that they are committed to advancing President Trump's peace plan,” the statement reads. Speaking to Reshet Bet, Bennett said, "I want to understand from Netanyahu what the level of coordination is with the Americans on the issue of annexation. But it's absurd that certain places, like Ma'aleh Adumim and Ariel, are not [officially] part of the State of Israel." Bennett noted that “The episode was born from the fact that we are advancing the Sovereignty Law. On Sunday, the prime minister asked that the law not be brought up until further notice because of the events in the North and because of the dialogue with the Americans. I told him that I definitely agree with the postponement because of the events in the North - but with respect to the American issue I I want to understand more, and I reserve the right to raise it next week. " Bennett emphasized that, in any event, the US does not have “veto power” in Israel.